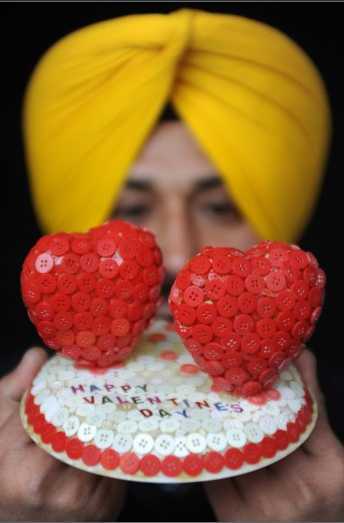 I just bumped into these pictures and I thought of sharing them to wish you all a Happy Valentine’s Day! 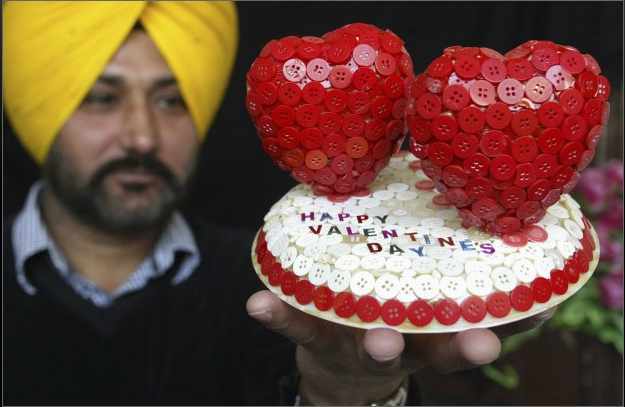 I am really curious to learn more about Hardwinder Singh Gill..I have done a short google search and I found a lot of interesting pictures of his works! If you know any good website where I can find some more information about him, please let me know. Dish of the day: gnocchetti sardi with aubergine and ricotta! The recipe is incredibly easy, but I just need to clarify a couple of things. 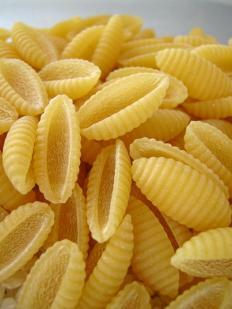 this is how gnocchettin sardi look like! Ricotta salata is a kind of dry ricotta. 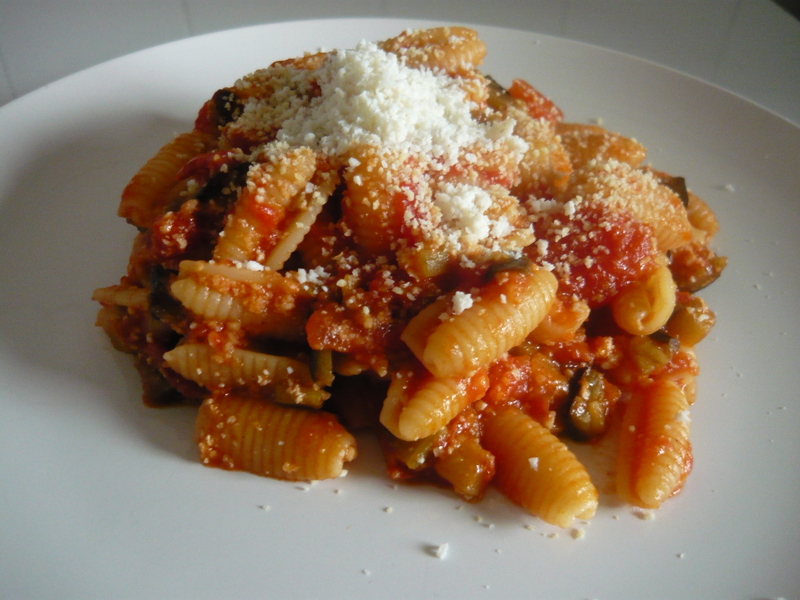 It is a sheep cheese, extremely tasty and it is absolutely delicious grated on pasta. Cut the aubergines in small pieces (1 cm) and let them cook in a pan with some olive oil. – Please note: the more you fry the aubergine, the tastier will be the pasta… if you opt for a lighter version, reduce the amount of oil and add some water instead. When all the little pieces will be beautifully gold, take them out of the pan and put them in a plate. Use the same pan to prepare the tomato sauce: add a can of chopped tomatoes (you don’t need to add more oil, as there will still be some oil from the aubergine) and a bit of salt. If the tomato sauce is too thick, add a bit of water… I don’t like when the sauce is too dark and thick! Let the sauce boil for about 15-20 mins. In the mean time cook the pasta. When it is done, add it to the sauce and then add the aubergine golden pieces. The smell is already delicious but you just need to follow other two simple steps to make this dish perfect! As I said before…it is really easy and quick but the result is excellent! 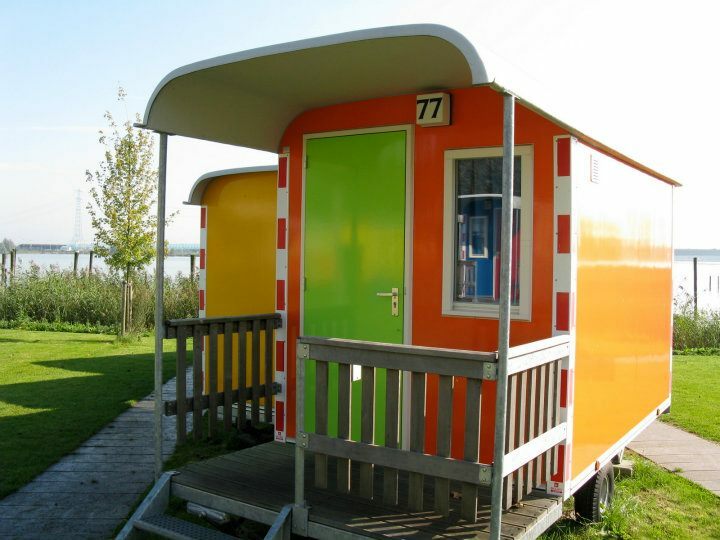 Amsterdam Zeeburg Camping – ever slept in a Wagonette? I love camping, sleeping in a tent on the grass..but as soon as I saw these wagonettes I just fell in love with them and I had to try them! 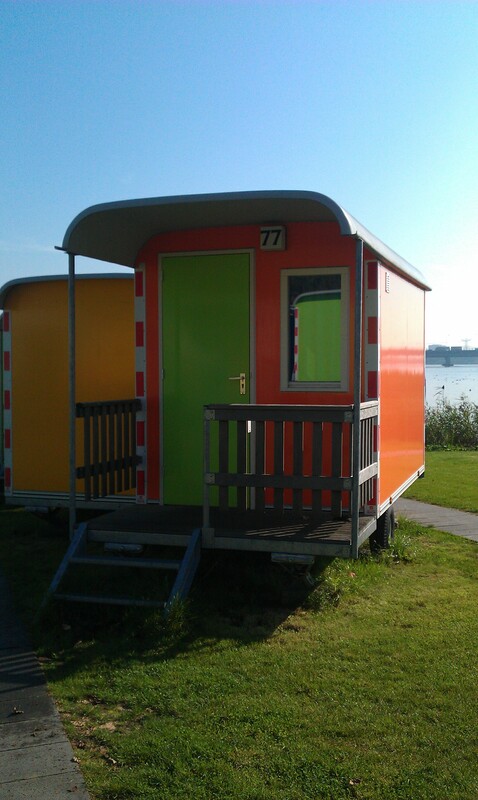 I was in Amsterdam for work and after a week wearing heels and business suits I had the extreme need of a couple of informal and relaxing days..the Zeeburg camping was just the perfect place. It is not centrally located, but still very easy to reach by tram from the main station. The camping is by the sea and far away from the traffic and noise..the staff is super friendly and there is a nice buffet for the breakfast. The wagonettes are just super uber cool! they are equipped with bunk bed, desk, chairs and a heater..unfortunately I don’t have any picture of the inside, but trust me, they are so cozy and comfortable! I loved them and I felt so extremely relaxed when I left! 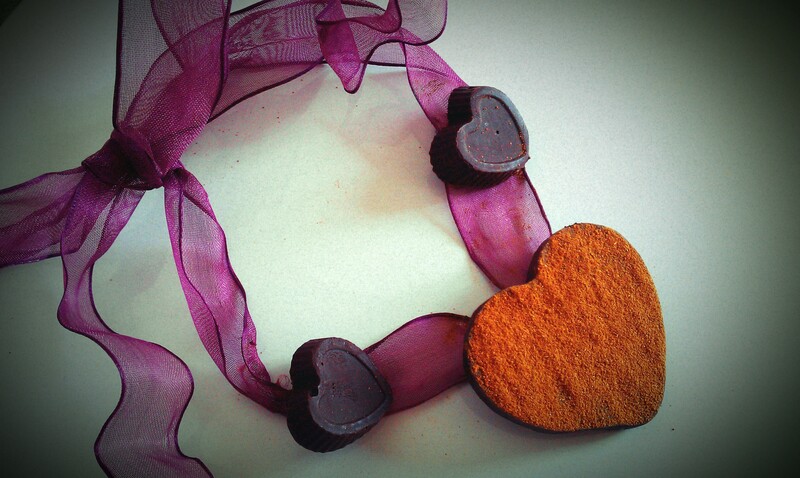 DIY: edible Valentines gift – chocolate necklace! 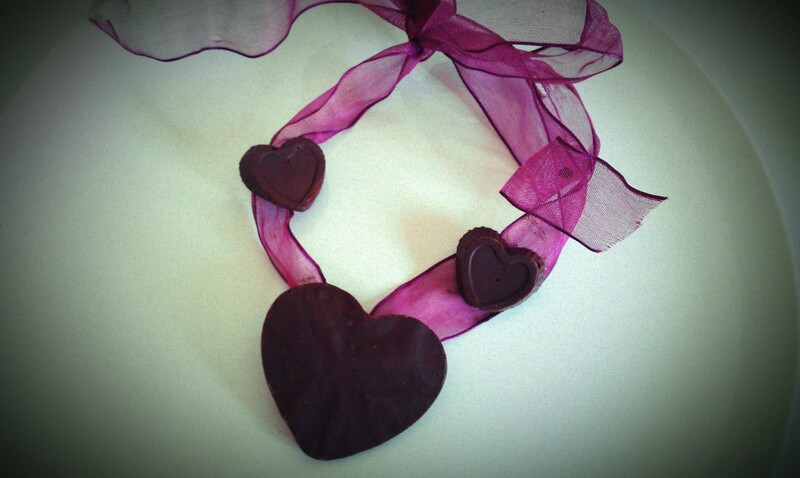 All you need is some chocolate, heart shaped cookie cutters or case, and a ribbon.. Here it is in two versions: dark chocolate..
Hi Volunia, nice to meet you! Today at 12:00 CET at the University of Padua it’s been presented the new 100% made in Italy search engine: Volunia. The creator, Massimo Marchiori, has proudly introduced it, going through the main features and underlining more than once that Volunia is not the anti-Google as many newspapers have defined it. Thanks to its “social” features is more something that is going to integrate Google, but certainly the aim is not to replace the Californian giant nor to be its rival. For all the IT experts, Massimo Marchiori is a well known name, but I would still like to spend a couple of lines about him for all those people that are hearing his name for the first time. Mr Marchiori was born in Padua, Italy in 1970 and is currently a professor at the University of Padua of Database and Information Systems, Computer Networks and Web technologies. Since April 2010 he is also Chief Technology Officer of Atomium Culture, an international non-profit organisation formed by European universities, newspapers and business whose mission is the dissemination and knowledge transfer of European research. He has obtained several international prizes, such as the prestigious prize TR100 by the Technology Review, published by the MIT. Finally Marchiori is also the creator of HyperSearch algorythm, thanks to which the search results are not anymore based exclusively in single pages ranks, since it also takes in consideration the relationship between the single pages and the rest of the web (which has also partially influenced the algorythm at the base of Google’s success). A few months ago I have registered to become a Power User and woohoo, I have been selected! I am very excited about the idea of starting to discover Volunia and I hope to be able to give you more information and feedback in the coming weeks. 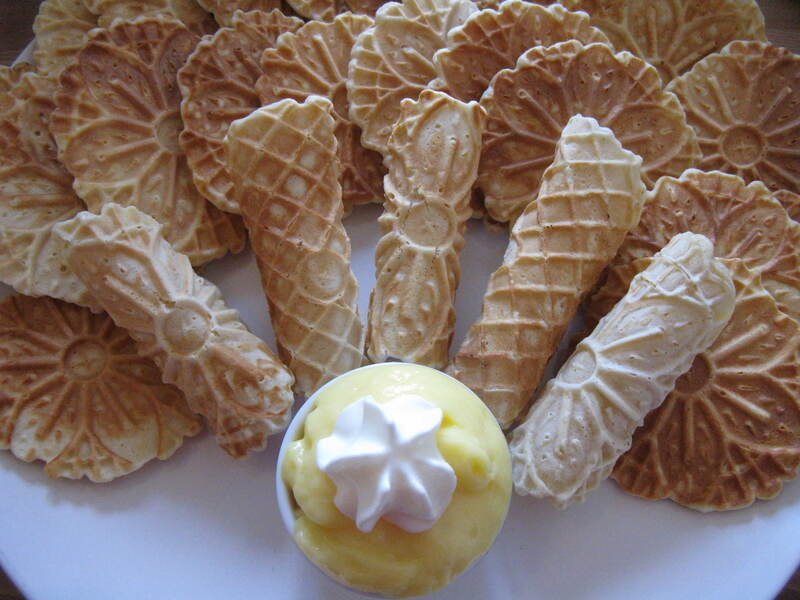 Sunday afternoon treat: bricelets & tea! I have been so busy sorting out all the stuff for the move that I hardly had the time to sit down and relax a bit. When I had finally finished packing and cleaning everything I decided to treat myself with something nice and SWEET! I had recently bought the bricelets iron but I still hadn’t the chance to try it out…and today seemed just the perfect occasion. Bricelets are a typical Swiss sweet whose recipe changes a bit from one region to another, and apparently each family has a secret trick as well! They are like very thin and crunchy waffles cooked on a decorated iron. Back in the years people used to place the iron into the chimney, nowadays things are a bit easier as there are a lot of electric and easy to use irons. You can buy them in different shapes and for different prices..I got a quite basic one and it works great. They are really easy to prepare. For the dough you will need flour, sugar, a little bit of white wine, double cream (I used milk to make it lighter) and eggs. You simply have to mix everything together and let it rest for a couple of hours. When the dough is ready, turn on the iron, make sure it is VERY hot, pour one tea spoon of dough and close it immediately. Let it cook for 2-3 minute (not longer or they’ll burn) and they are ready! If you want you can roll them, but you have to be super quick because they tend to harden very quickly and you might risk to break them. As you can see from the picture, I have only managed to roll a very few of them! I tried mine with custard and cream and they were absolutely fantastic! I had such a great time relaxing on the sofa listening to Regina Spector, sipping my Vanille&Robois tea and munching A LOT of bricelet! Pure bliss! I guess I have spent far too much time at home browsing on the internet and watching youtube videos lately..it might seems a bit of a waste of time, but let’s face it: it’s -10°C outside, I tried to go out but this cold is unbearable! Spending all this time on the internet allowed me to discover a lot of new things though. Some of them very interesting and of a certain importance, some other just..mmh, let’s find out together! KONAD..I have randomly bumped in one youtube tutorial and really got intrigued! It’s a new nail art technique coming from Asia (which is very well renowned for high quality nail art) and that is getting extremely popular all over the world. It consists in a nail imprinting kit formed by a special kind of very thick nail polish, a little metal plate with pre-designed images, a scraper (to remove the excesive nail polish) and a stamper. Basically what you have to do is to apply some nail polish on the desired image on the plate, scrape away the excess, quickly press the stamper on the image and then eventually stamp the image on your nail with a right-to-left quick motion. If you want to learn more, I suggest you to have a look at the Konad website, where you can also find lot of info about prices, colours and much more. I have looked for a Konad kit everywhere, but apparently it is not yet sold in Switzerland. I thought of buying it online, but then I realised that getting anything shipped would cost a crazy amount in terms of costums duty..so I was about to give up..until I found something in a local shop very similar to Konad. The kit is basically the same (plate + scraper + stamper + thick nail polish) and surprisingly the price was much much lower! Yay! I love when these things happen! 🙂 You can check it out here. Of course I bought it and ran home to try it! I have to admit that using it is not so easy..I mean, instructions are easy, but you really need some practice to obtain a decent result. I have spent quite a while trying the different designs..some of them are for some reasons easier (stars and flowers are really easy) some others (especially stripes and circles) are harder to make properly! Overall, it’s been a lot of fun! I hope you will have the chance to try it out! I have to admit I am not a huge fan of cheesecakes, but since I love to cook and I love to try new recipes, when I found this one I simply couldn’t resist. I had never heard before of the no bake option, but after I tried it I can assure you that it is probably better than the classic baked one. This is a very simple recipe and even if you are not a cakes guru, you can still get an impressive result! If you have all of the above, then you are ready to start! The first step will be to prepare the base. Put the biscuits in the mixer until finally grounded. Add the melted butter, mix all together and press the mixture into the bottom of a springform pan. Now you can start preparing the yummy mixture! Beat mascarpone, philadelphia and sugar together, then add the lemon juice and 1 gelatin sheets previously melted in some warm water (this will make the mixture more solid). When it is all beautifully fluffy, put the creamy mixture on the biscuit base and let it cool in the fridge for 5-6 hours. How to decorate: I love to decorate cakes and I couldn’t leave it plain white as it was. I took the remaining 1 gelatin sheet, melted it, added a bit of lemon juice, 1 tea spoon of sugar and a few drops of yellow food colour (I really had some doubts about it since I don’t normally like adding this sort of things, but then I gave up because the idea of a yellow topping was too nice and I simply promised myself “I won’t do it again!) and poured it on the cake. 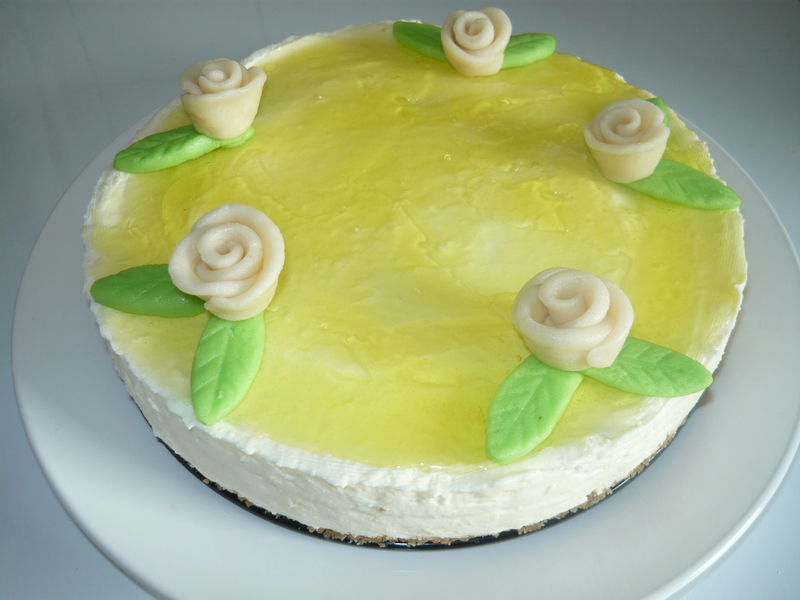 Last but not least, I had some marzipan, so I decided to create a few little roses and to add them on the top. I loved making them and it was so easy..you just have to take 3 little stripes and roll them! Ladies and gentlemen..this is the result! Hotel Vs. Hostel: there was a time when a simple “s” could make a big difference in terms of comfort, style and services, but this is not the case anymore. Forget about stereotypes: hostels are not anymore those simple, modest places for skint students and on budget travellers. It’s been a couple of years now since the first “Boutique Hostels” have started to make their way through the hospitality industry and trust me..they are far away from the common idea we all have about hostels. As defined by the Italian newspaper La Repubblica, boutique hostels are “high end” accommodations for backpapers, offering “high tech” options and all kind of comforts at an affordable price. The New York Broadway Hotel and Hostel, Manhattan: you will be comfortably sleeping next to Central Park for about 20€ at night. Plug-Inn Boutique Hostel, Parigi: stylish and modern in the heart of Montmartre. The price per night is slightly higher than the previous one (30€ for a bed, 80€ for a double room) but it includes breakfast, wifi, towels, bed linen and an ensuite bathroom. YHA London Central, Londra: it has been awarded as the best London hostel for 3 years! 30€ per bed and you will be sleeping in Soho! Lub D Hostel, Bangkok: very welcoming name (Lub D means “sleep well” in Thai) and ideal for solo female travelers thanks to its ladies only section. Comfy and safe area, equipped with lovely lounge area with screens to enjoy movie nights. Price: only 15€ per night! St Kilda Base, Melbourne: colorful and comfy, welcome drinks, disco bar and free pancakes on Mondays! Prices from 24€ per night. So, what are you waiting for? Grab your backpack and start travelling..and relaxing! While I am trying to decide if leaving a well paid permanent job in Switzerland to go back to London could be the most stupid decision of my life, I bumped into an article about the relation between income and happiness. According to Dr. Angus Deaton, an economist, and Dr. Daniel Kahneman, a psychologist (and a Nobel prize winner), from Princeton the two key components of happiness are emotional well-being (“emotional quality of an individual’s everyday experience”) and life evaluation (how satisfied we are about our state of life). It turns out that the perfect balance between these two components is reached in correspondence of a $75000 household income, beyond that amount people might be more satisfied but not necessarily happier. These results were based on the analysis of more than 450,000 responses to the Gallup-Healthways Well-Being Index (GHWBI) and showed very clearly that those who reported a household income lower than $75,000 generally had lower levels of emotional well-being and life evaluation. Surprisingly, respondents who reported a more than $75,000 household income only showed a higher level of life evaluation but not necessarily a higher level of well-being. So yes, apparently money can buy you happiness..but as long as it is not more nor less than $75,000. So why did I find this article so interesting that I decided to write a post about it? Well, it happens that I earn exactly $75,000 and although I have good social relationships (love wise I am really satisfied!) and health (which are other important factors in happiness), I can’t consider myself extremely satisfied or happy. After having gone through a lot of unpaid internships I would have thought that a well paid job would have really bought me the absolute happiness, but I was wrong. I realised that the environment around you really has a huge impact on your perceptions and emotions. Living in a small, quiet, culturally not stimulating city, not having the chance to meet a lot of people and socialise, really affect your happiness. Why do I need all this money if I then have no chances to spend it? By the time I go out of my office, all shops are closed and the city center is pretty empty, on Sunday it’s all close and during the week there are not so many things to do or events to attend. I have suddenly realised that I was much happier when I was living in London with my 18K salary. I have to admit that the idea of moving back there, with no job and with the current economic situation really scares me a lot, but in my case, money didn’t buy me happiness, so I guess I have to give it a go! My bank account will certainly regret this choice, I hope I will not!